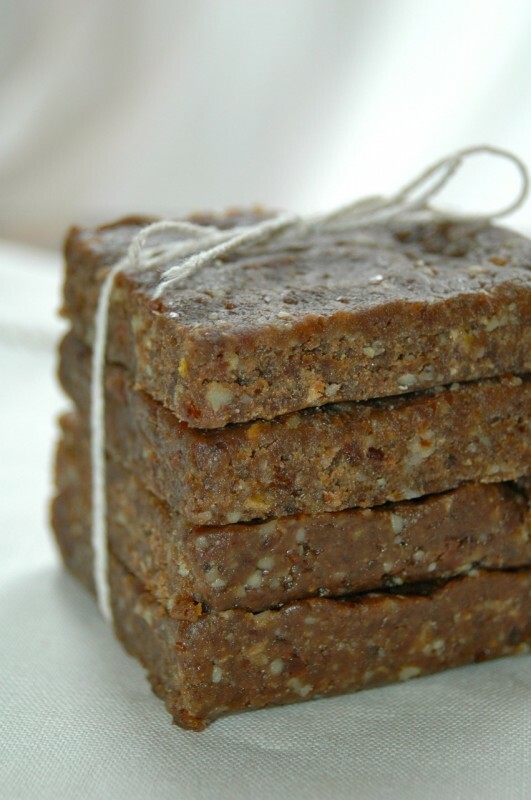 A healthy snack for the family, these raw, vegan, treats are decadent, filling, and made with all natural ingredients. 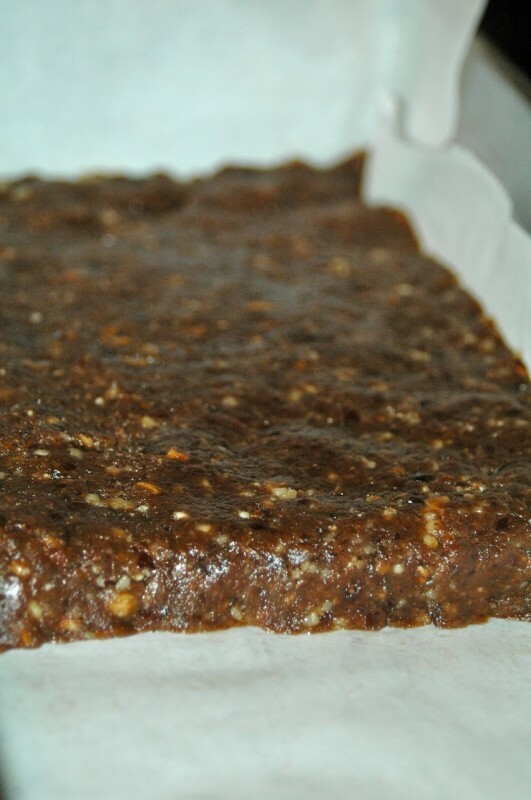 These homemade chocolate almond larabars are loosely based on the original but they are without a doubt healthier for you. 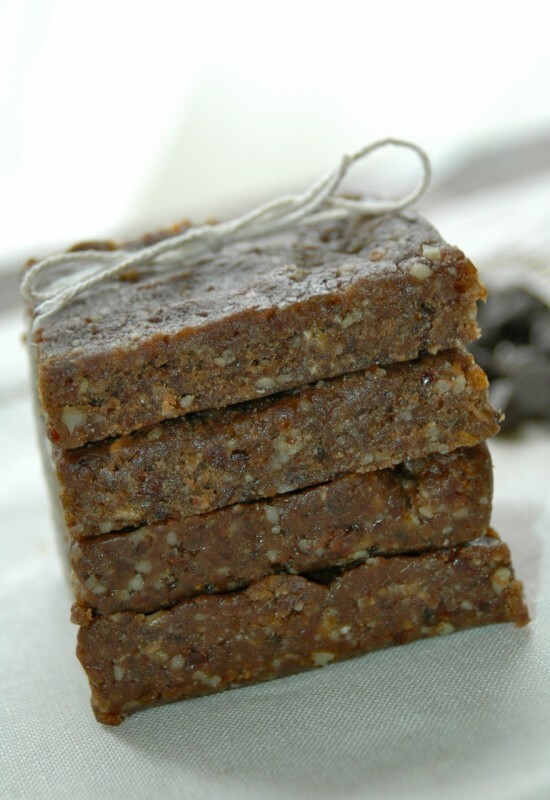 The combination of chewy Medjool dates, raw almonds, natural sweetener, creamy almond butter and melted chocolate chips, make for a decadent, energy-boosting snack for all members for the family. These bars can be store in the fridge of freezer, as desired. I prefer grabbing one right out the freezer allowing it to defrost for 5-7 minutes before eating. Alternatively, of you prefer a softer, chewier consistency, store in the fridge and remove right before eating. 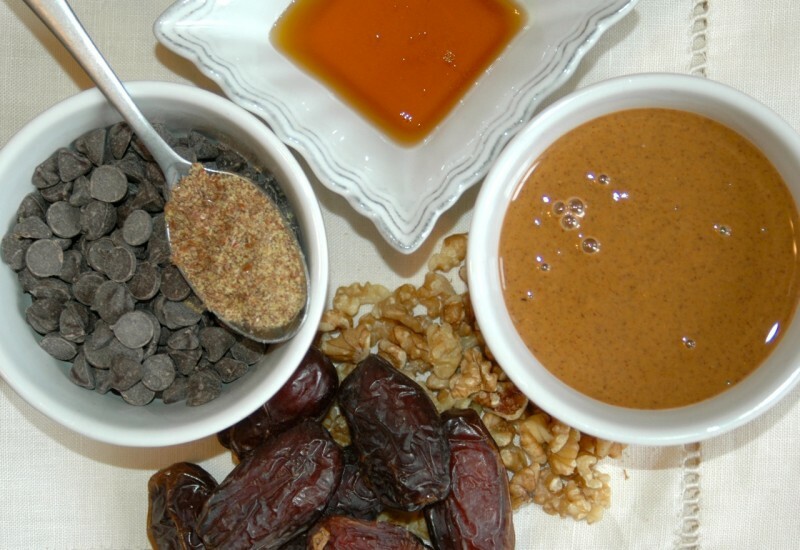 Chocolate chips: Replace with 1/4 cup of carob chips. 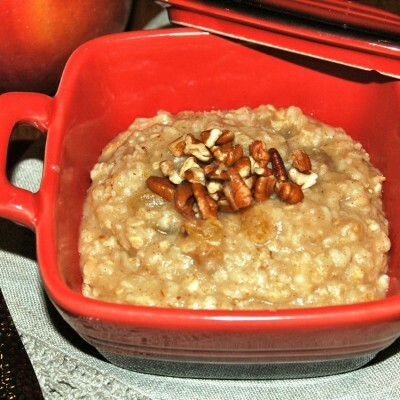 Agave nectar: Use organic brown rice syrup or raw honey or maple syrup. 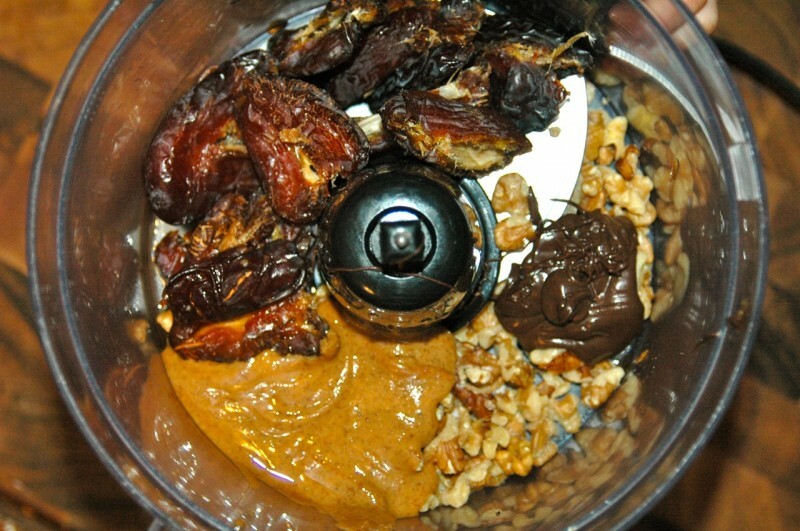 Dates: Substitute half the quantity with dried fruit such as raisins, or cranberries. Vanilla extract: Replace with another flavour, such as mint, lemon or orange extract. 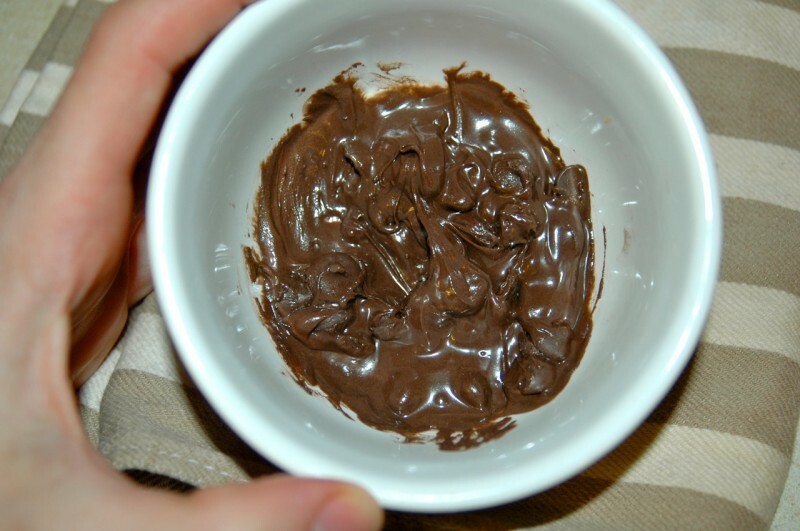 Heat chocolate chips in a small bowl in the microwave for 15-20 second intervals to avoid heating too quickly and burning. Stir the chips after each interval until they are smooth and creamy. 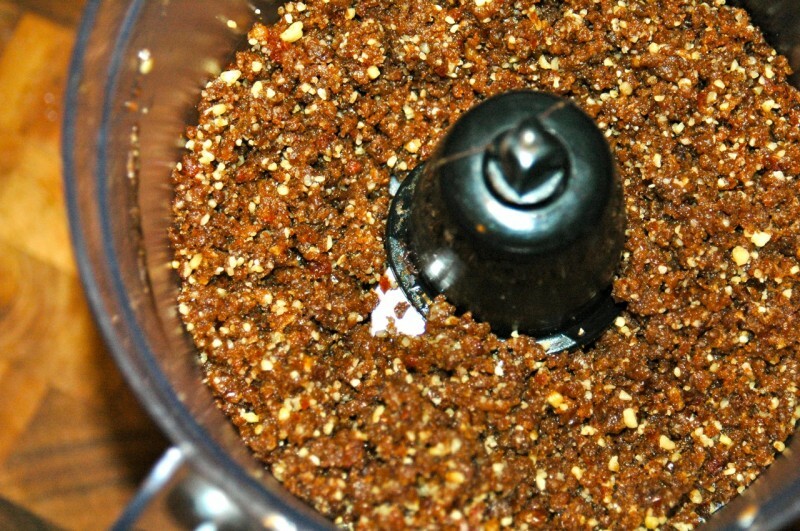 Add all the ingredients to a large food processor. Blend for a few minutes or until well combined. 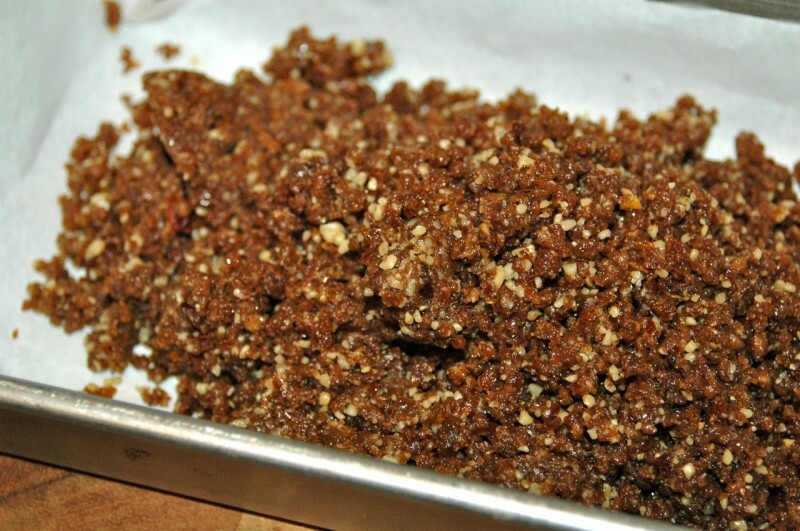 They mixture should be crumbly but come together easily when packed tightly. Line a small biscotti pan (or pan of choice) with parchment paper. Add the mixture to the pan then flatten with your hands to form a rectangular log (I make mine about 1 inch thick). Allow to cool and firm up in the fridge for at least 2-3 hours. Remove the bars by lifting the parchment paper from the pan then peel off the bars. Cut into desired size then store in the fridge in an air tight container or plastic bag for up to 2-3 weeks. Store in the freezer for up to 6 months. 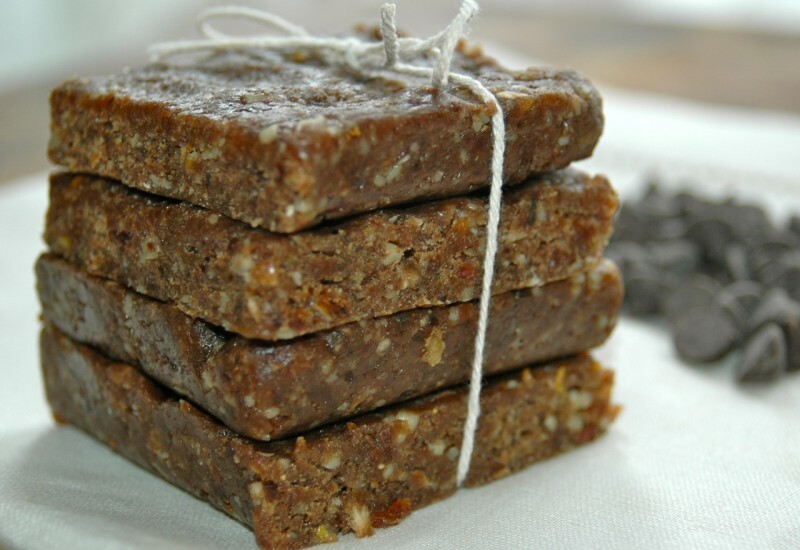 Your bars look very healthy and delicious! 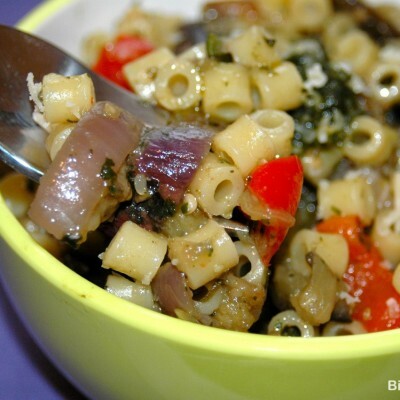 I loved the combination of ingredients and could go for one to try right now!